The Rivercrest Lady Rebels are Bi-District champions after a sweep of Como-Pickton last night. Rivercrest will play Timpson in the Area round on Thursday night at Union Grove. 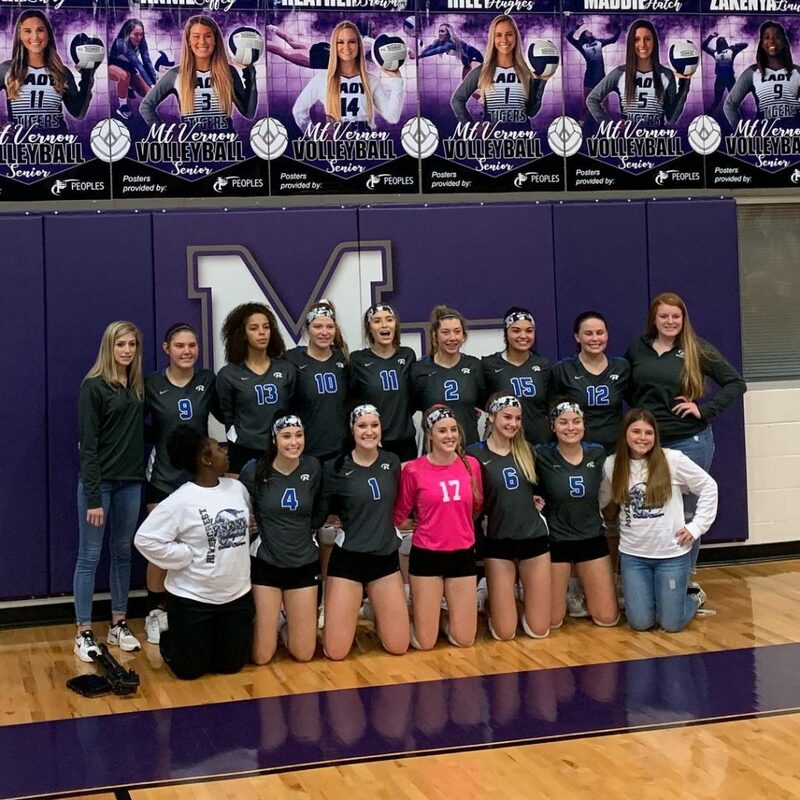 The Chisum Lady Mustangs fell to New Boston last night in three sets to end their season. The rest of the Bi-District matchups will be played tonight. On Mix 107.7, the North Lamar Pantherettes will play Kilgore in Sulphur Springs. The time for this game has changed to 7:00 pm. The Paris Lady Cats will take on Gilmer in Emory. That game starts at 6:00 pm. Detroit will face Cumby in Mt Vernon at 8:00 pm. And the Prairiland Lady Patriots will take on Atlanta in Mt. Pleasant. That game begins at 6:00 pm. Both Paris and North Lamar are preparing for the Crosstown Showdown this Friday at RL Maddox stadium. North Lamar is hoping to build on the win vs Sanger while this is the last game for Paris before heading into the playoffs. The game will be broadcast on both Mix 107.7 and 101.9 KBUS beginning at 6:30 pm. Here is this week’s high school football schedule: Mt Pleasant is at home against Jacksonville at 7:30 pm on KLAKE 97.7, Paul Pewitt is at Daingerfield on STAR 96.9, Sulphur Springs will host Kaufman on STAR 95.9, Hughes Springs is at home against New Boston, Mt Vernon is at Redwater, Pittsburg is at Liberty Eylau, Rivercrest is at Como-Pickton and Gilmer is off. The Dallas Cowboys have parted ways with offensive line coach Paul Alexander and promoted Marc Colombo to the position. Alexander was named the offensive line coach in the offseason after a 24-year stint with the Cincinnati Bengals, replacing Frank Pollack, who replaced Alexander in Cincinnati. Colombo has been the assistant offensive line coach since 2016 after a 10-year career as a player, including six with the Cowboys, five as the starting right tackle. In Monday night football the Patriots beat the Bills 25-6. The Stars continue their road trip tonight as the play in Montreal against the Canadians. The Cleveland Browns fired coach Hue Jackson and offensive coordinator Todd Haley on Monday after a three-game losing streak derailed a promising start to the season. The Browns also announced that defensive coordinator Gregg Williams, who is in his second season with Cleveland, will be the interim coach. Running backs coach and associate head coach Freddie Kitchens will serve as offensive coordinator. The Tampa Bay Buccaneers will start Ryan Fitzpatrick at quarterback this week against the Carolina Panthers, coach Dirk Koetter announced Monday. “We’re gonna start Fitz this week. That’s what we feel like we need to do to give ourselves the best chance,” said Koetter, who would not commit to a starter beyond this week.